Caught this image at a Ghost Hunt in Furnace Town Md. See what you think. There is no smoking in this area and no one was smoking. 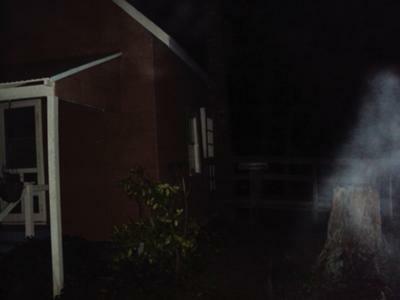 This was a Ghost Hunt at Furance Town on 10/22/2011. Yes it is a spirit vapor..just letting you know that they are there..definitely not 'smoke'. Looks a bit creepy to me.